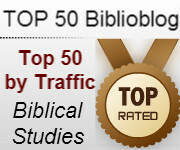 Peter Kirby has his now quarterly list of the Top 50 Biblioblogs, just published yesterday. You can find it here. There is some good reading to be found on that list!